Description - Want the look of travertine, but don't want to sacrifice your first born? Then buy our Stone Flex Tiles – Travertine Collection. These interlocking vinyl tiles will provide you with the look of natural travertine without all the hassle. Easy to install and maintain, these vinyl tiles will provide warmth and comfort wherever installed. Great in both homes and businesses, this vinyl tile is backed by a 10-year warranty. Material – Stone pattern tiles are constructed with a proprietary blend of flexible PVC with a Luxury Vinyl top. This ensures that the tiles are flexible in order to have the anti-fatigue flooring qualities often associated with rubber flooring but also the long wear life and chemical resistance associated with vinyl tiles. Recommended Uses – Stone Flex Tiles - Travertine Collection tiles are great for both residential and commercial use and are commonly found as flooring in kitchens, living rooms, dining rooms, family roomms, as basement flooring, in bedrooms, as home office flooring, in office lobbies, as churche flooring and much more. Provides comfort and warmth where installed. 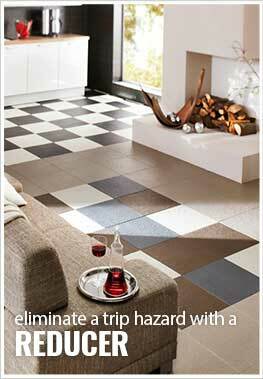 Great as flooring in homes and businesses. Love having the stone look I want in my laundry room. Good update! I was hesitant on the price but the tiles have been worth it. Looks like real stone and I can remove them and take with me when I move out of this house. Definitely sold on these tiles!